"The paradox of change is that change occurs when one becomes what he is, not when he tries to become what he is not"
Interfacing with that thought, I want to recommend one of the best books I have ever read about discovering your true identity and living into what you were created for. 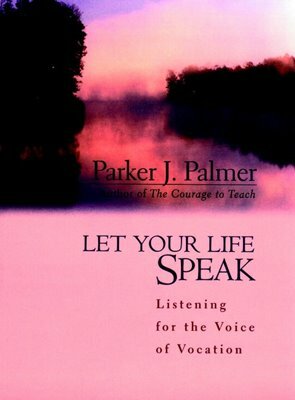 It is "Let Your Life Speak" by Parker J. Palmer. A short little meditation reflecting on the fact that for the first forty years of our life we live under definitions that others have determined for us. The last forty years is unpacking the true identity and purpose we were born with in the first place. Excellent read…I hand it out and never get it back because it then gets handed out and so it goes – the greatest compliment for a book.